Veteran's Day - November 11th! Veteran's Day is a time for us to remember all those who have given their time and dedication in service to our country. 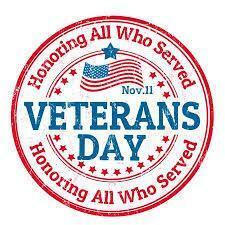 BHS would say "Thank You" to all the men and women who have served or are currently serving in our Armed Forces.